To celebrate the upcoming release of Academy award nominee Bryan Cranston’s latest film THE INFILTRATOR we’ve got an exclusive info-graphic detailing the scale of Pablo Escobar’s criminal network. Escobar was of course the wealthiest criminal in history and made his money by smuggling cocaine into the U.S. through Mexico and the Caribbean. What you probably don’t know however is the scale of the operation and the man who brought it down Robert Mazur, who Cranston plays in THE INFILTRATOR. 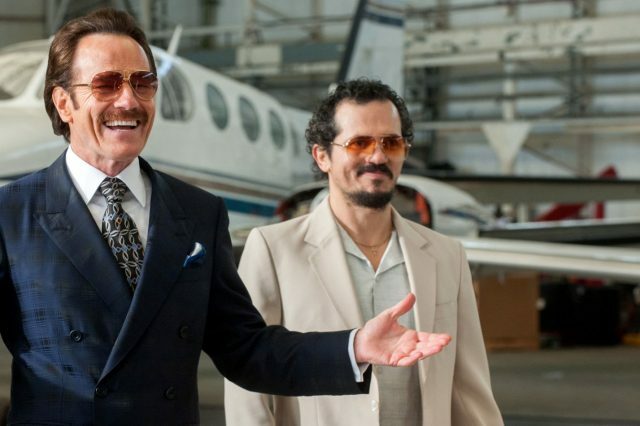 Based on a true story THE INFILTRATOR is a tense crime thriller that tells the story of Robert Mazur (Bryan Cranston), a U.S. Customs Service special agent, who goes undercover as slick money launderer Bob Musella to help catch drug lord Pablo Escobar. Along with his streetwise partner Emire Abreu (John Leguizamo) and his fake fiance Kathy Ertz (Diane Kruger), Mazur navigates a vicious criminal network and builds a case to bring down one of the largest money-laundering banks in the world.